There are essentially three stages to rope making. The first being Hatchelling and Spinning. Hatchelling is the straightening or combing out of the raw fibres, just the same as combing your hair in the morning. These fibres are then taken by the Spinner who would wrap a bundle round his waist, twist some onto a rotating hook and then feeding them in walking backwards, would spin up to 1000 feet of yarn in twelve minutes. Almost the length of the ropewalk. 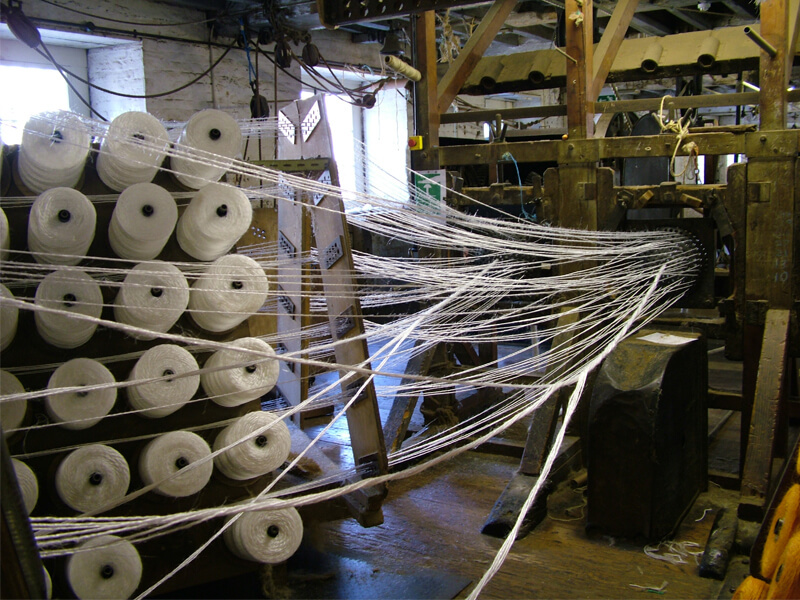 This yarn would then be wound onto bobbings and taken over to the ropewalk for the final two stages, Forming and Closing. 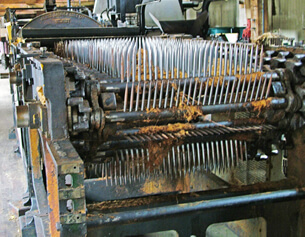 The yarns are set up and run out through a Register Plate and then through a Die to compress the yarns closely together. 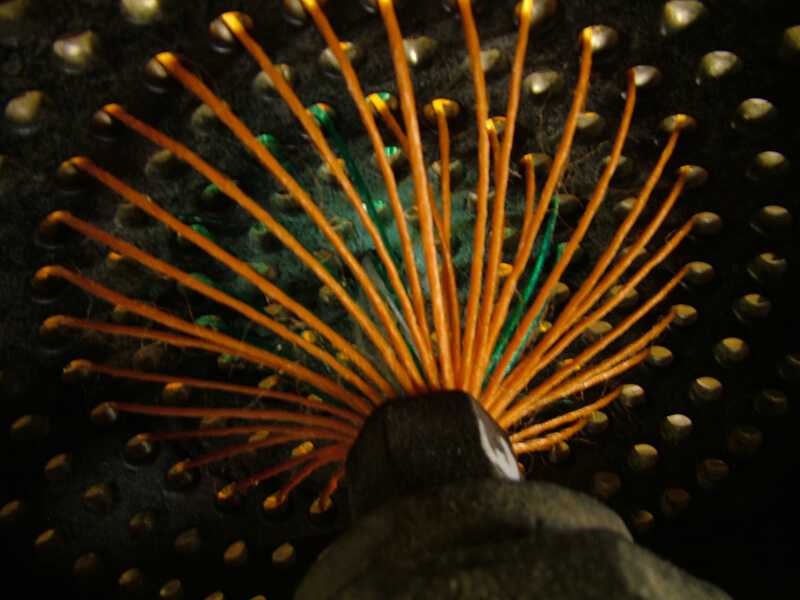 A register plate is a plate full of holes, just like a colander, and the number of yarns going through it depends on the size of rope being made. The final stage of rope making is the closing of the rope. 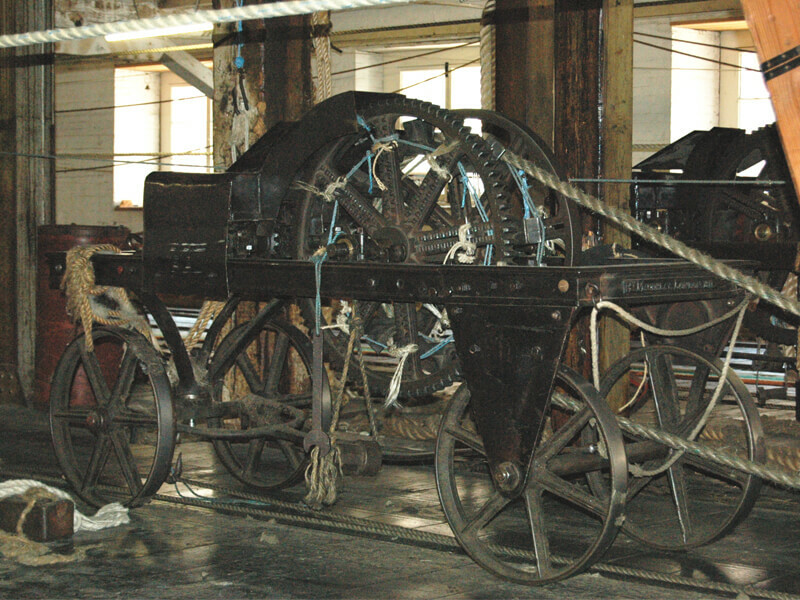 This is carried out by using the closing machines, one at each end of the ropewalk. At the far end is the Standing machine and the one in front of you is the Traveller. One has to be able to move, because, as the strands are closed into rope, the rope shortens on itself. Usually, three strands are attached to three separate hooks on each machine. The machines are then started, twisting the strands to tension or harden them. When satisfied that the strands are at the correct hardness, the process is stopped and all three strands at the Traveller end are placed onto one hook. You will then see the top introduced. This is a conical shaped piece of wood with three groves, one for each strand, and shaped at an angle of 37 degrees to give the correct angle of lay for the final closing of the rope. 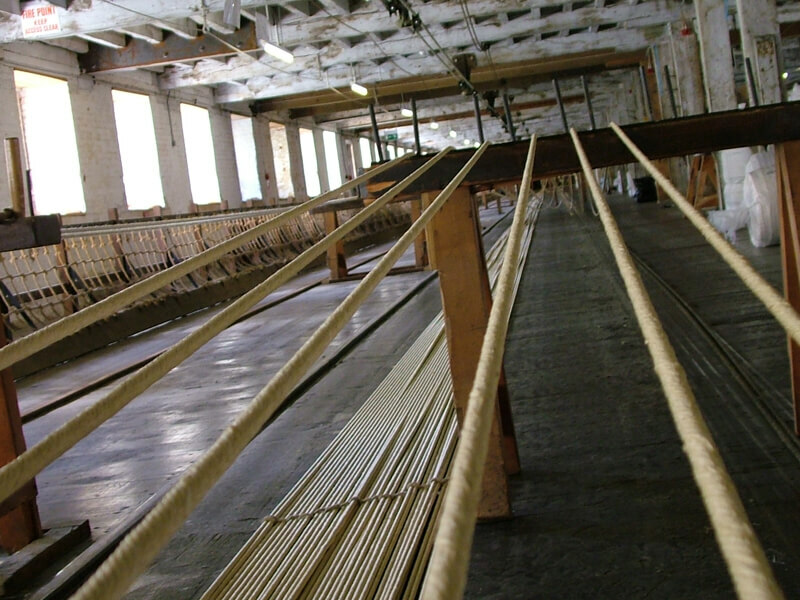 The process is then restarted with the force of the closing of the rope behind the top, pushing the top, and hence the top cart, all the way to the end of the ropewalk.